The scents of the season are something I love about this time of year! Cinnamon, nutmeg, sage, thyme, pumpkin, apple, pine, smoke from a chimney, you get the idea. It turns out that aromas can help make marketing your art not so, well...odious! 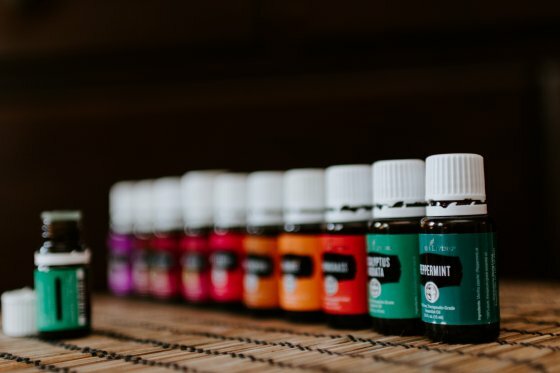 To find out how an essential oils cocktail can support you on marketing day, read on. Supporting you in growing your businesses is something FestivalNet loves doing, all year long! This month we’re also supporting a non-profit which works to create safety nets for you and your work. Find out how CERF+ helps smooth any rough times, below. Hate Marketing Your Art? Try Aromatherapy! I used to do anything to avoid marketing. It felt sleazy and didn’t really seem to pull in much business anyway. I was about to give up on it when I decided to throw a Hail Mary pass – and be totally honest, humorous and vulnerable. People responded. I was shocked. I accidentally stumbled onto what I have termed, meaningful marketing. Meaningful marketing reveals the soul-connected bits of you and your art through story to potential customers. It feels ethical and attracts your ideal audience. Problem is, opening up and being vulnerable is frightening, right? Call For Artists on FestivalNet! Have you subscribed to our weekly Call For Artists email? Head over to 'manage my e-lists' to enroll! It's a free service from FestivalNet. Sort by state or peruse chronologically and get ahead of deadlines! Bookmark our Calls For Artists page to revisit whenever you like. Even though apples are considered a winter fruit, they grow on our Giving Tree throughout the year! But, December’s apple is always reserved for a non-profit near and dear to all our hearts, here at FestivalNet. CERF+ The Artists Safety Net serves artists who work in craft disciplines by providing a safety net to support strong and sustainable careers. Their core services are education programs, advocacy, network building and emergency relief. The non-profit will receive a portion of FestivalNet’s gross profits this month. See all our apples up on our Giving Tree page! We're always looking for articles about working in the festival biz: tips, ideas, & resources. Send to: news@festivalnet.com and put "FestivalNet Newsletter" in the subject. Go here to manage your e-lists . To view/edit your profile go to My Account. To ensure delivery of newsletters, please add news@festivalnet.com to your email address book. Thank you! Copyright (C) 2018 FestivalNet.com All rights reserved.